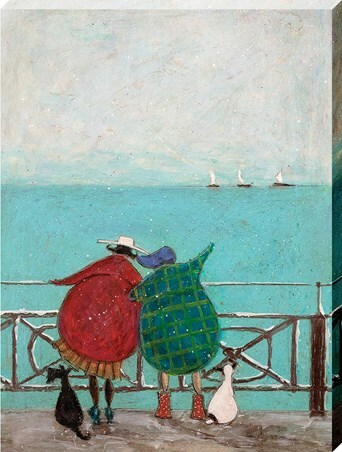 Nestled between the two, Doris the dog listens intently to Mr and Mrs Mustard's conversation, whilst staring out at the blue horizon, watching the world go by. 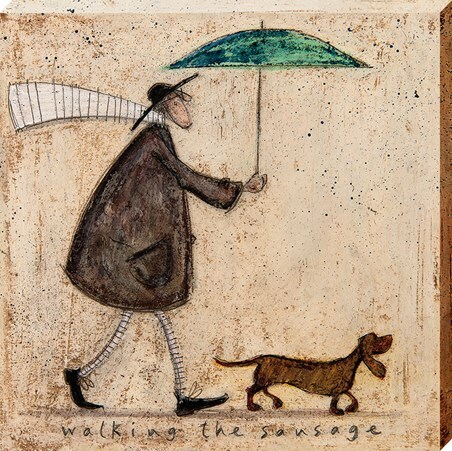 Using a mixture of techniques to add texture and life to her works, artist Sam Toft concentrates on the finer details to really add a depth to her scenes and most beloved characters. 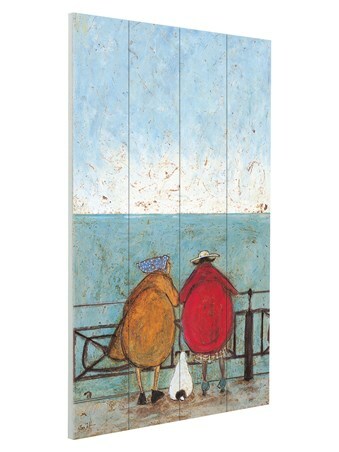 If you're a collector of these whimsical works, then this beautiful wooden wall art is a must have for your growing collection. 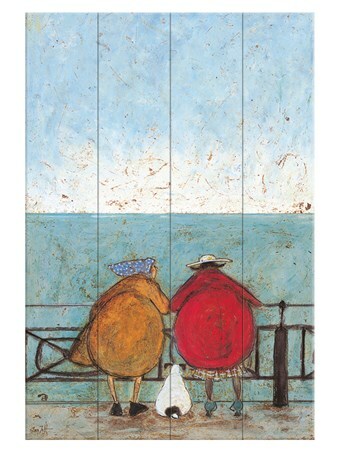 High quality, framed Doris Earwigging, Sam Toft wooden wall art with a bespoke frame by our custom framing service.